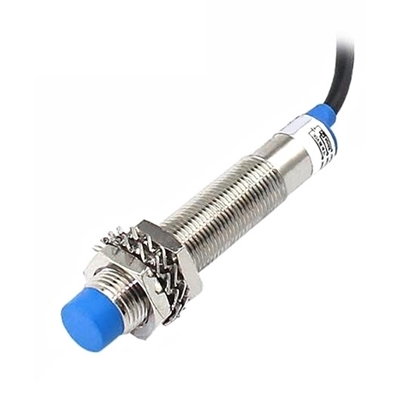 M12 proximity sensor can detect nonmetal (or metal), plastic, water, liquid level and powder height, with small size, long life, cheap price, unshielded type installation, anti-interference ability, 5mm detection distance, manufacturer direct sale. 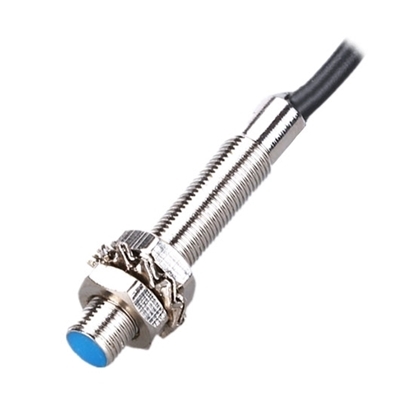 Inductive proximity sensor with 4 mm diameter, NPN type output, manufacturer direct sale. Tips: How to choose a proximity sensor? 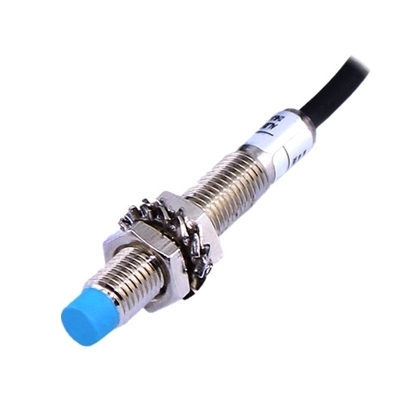 Inductive proximity sensor and capacitive proximity sensor are often used in the general industrial sites. Because these two types of proximity sensors have lower standard on environment. 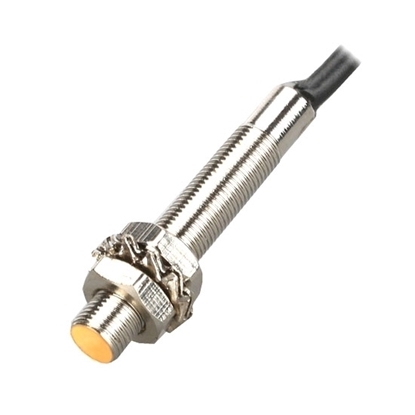 If the detected object is a conductive object or an object fixed on metal, inductive proximity sensor will be generally chosen for its high response frequency, excellent anti-jamming performance, wide range of application and lower price. If the detected object is a non-metal (or metal), liquid height, powder height, plastic or tobacco etc, capacitive proximity sensor will be chosen for its low response frequency but good stability. On the occasion of better environment and non-dust pollution, photoelectric proximity sensor can be chosen because it almost has no effect on the detected object during operation. 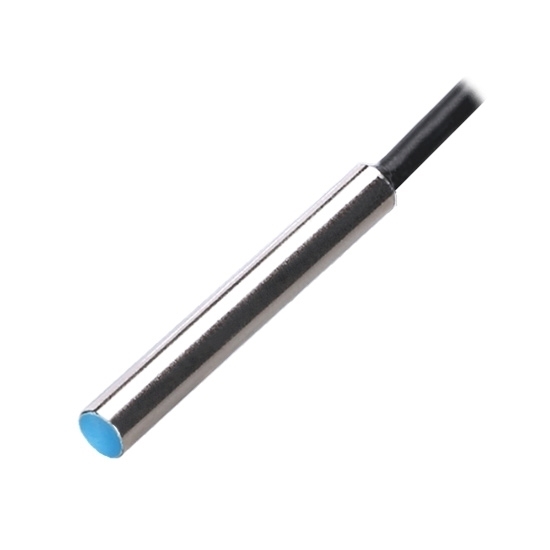 If the detected object is made from permeability magnetic material, or is buried of a magnet steel in order to distinguish the detected object from another object that moves together, Hall proximity sensor will be chosen due to its lowest price. Sometimes in order to improve the reliability of identification, the above-mentioned several proximity sensors are often used in combination.